From buildings as grand as the Guggenheim Museum to ones as humble as a filling station, Frank Lloyd Wright changed the way Americans experience their surroundings. 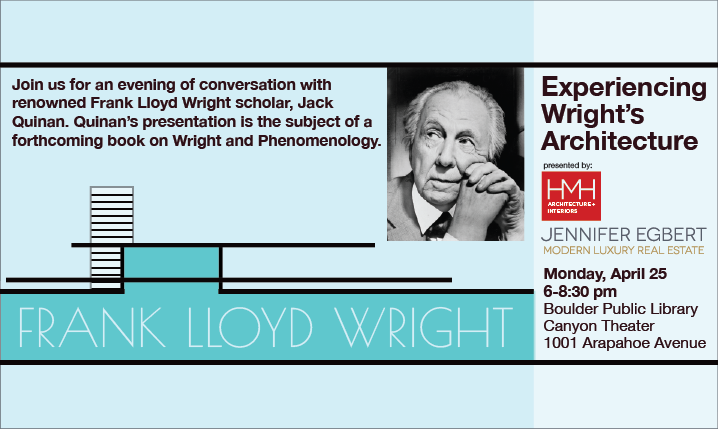 Join us for an evening of conversation with renowned Frank Lloyd Wright scholar, Jack Quinan. Quinan’s presentation is the subject of a forthcoming book on Wright’s Architecture and Phenomenology. Come mingle and bring your friends! We’ll be serving refreshments in the Gallery before and after the lecture. All are welcome.